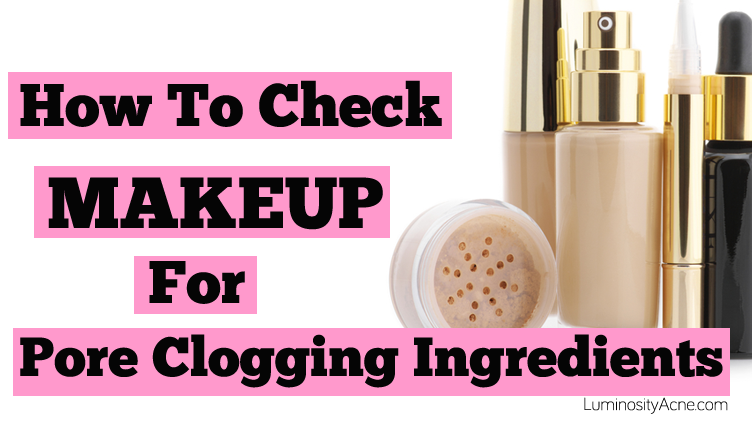 Not sure if your makeup is clogging your pores? The truth? It most likely is. 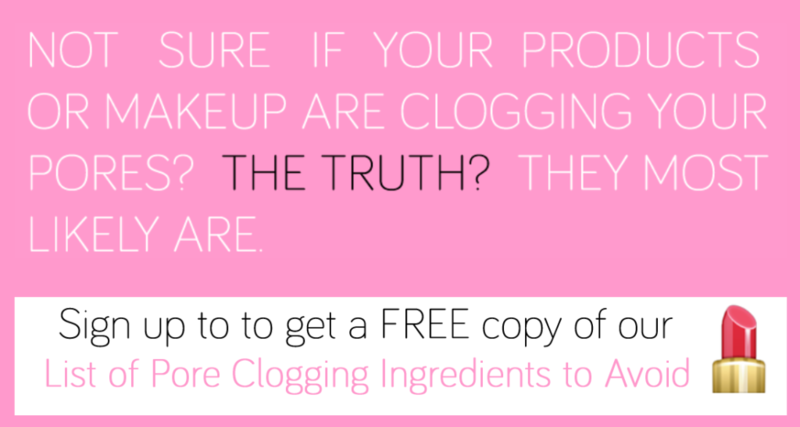 Ensuring your makeup is acne-sage is NOT as easy as selecting a product with the non-comedogenic claim. As an esthetician that specializes in acne, I cannot tell you how many times I see the word non-comedogenic on a product that is in fact pore clogging. Do not trust what the manufacturer says. Just because they claim their product is oil-free or non-comedogenic does not mean that it will not break you out. The word non-comedogenic is used so much that it’s virtually lost its meaning. At our office we give all of our clients a list of pore clogging ingredients to avoid. Because our clients are required to only use our products while on our acne program, we mainly use this list as a tool for selecting makeup, but this list does apply to skincare products as well. We’ve seen situations at our office where some clients didn’t do their homework to check their current makeup for pore clogging ingredients and their skin didn’t improve until they finally eliminated the bad makeup. So my best advice to you is to be willing to part with any pore clogging product no matter how much you love it. Just remember that product was actually contributing to your acne severity. I am more than happy to share my list of pore clogging ingredients with you so that you can make the best choice for your skin. There’s no charge for the list and you should receive it within a few minutes. 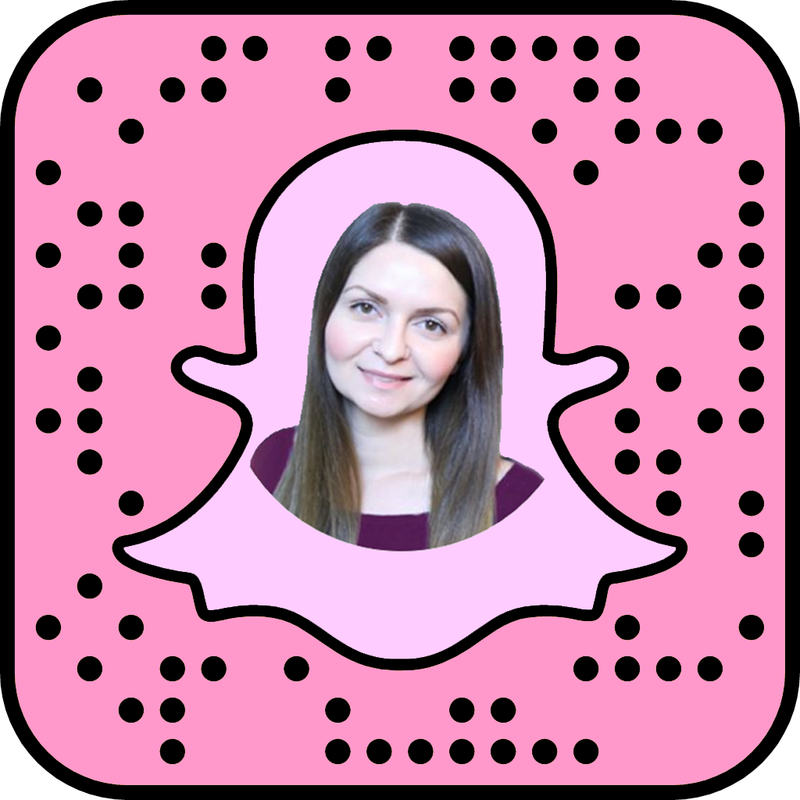 I will warn you though that the list may be a bit overwhelming at first glance, but it is such a valuable tool to have when you are dealing with acne. That’s because acne prone pores clog themselves up daily, so the last thing that you want to do is to add to the clogging of your pores by using the wrong products. 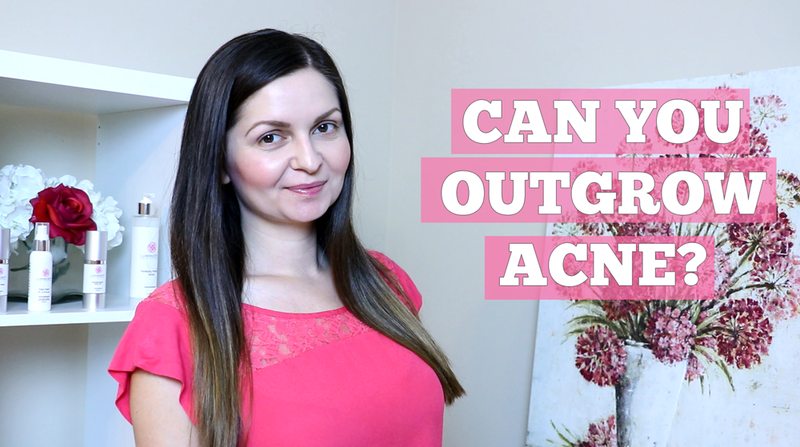 Speaking of pores clogging themselves daily, if you haven’t seen my previous post about the real cause of acne, click here to read it! First you’ll want to know what these 3 stars (***) mean. If you see an ingredient with this symbol it means that any form of this ingredient is pore clogging. For example take a look at Chlorella, it has the 3 stars. Whether your product contains just Chlorella or Chlorella Extract or if there’s a Chlorella Oil, it would all be pore clogging and you’d want to stay away from it. For all the other ingredients that do not have the 3 stars by their names, you want to make sure that they match exactly as written on the list in order for it to be pore clogging. So for example let’s look at Glyceryl Stearate SE. If your product just contains Glyceryl Stearate, without SE then it is not pore clogging and ok to use. Remember that it must match exactly as written on the list for you to want to stay away from it. 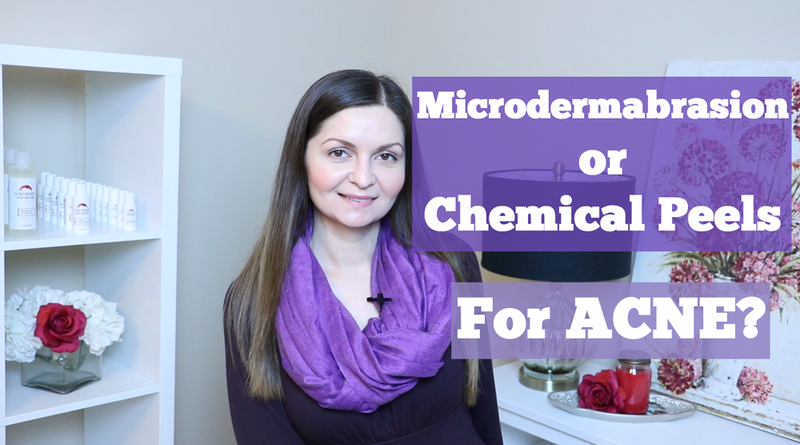 Now, as if you didn’t have enough to worry about, another thing to keep in mind is that companies can reformulate their products so a previously acne safe product can later become pore clogging. I recommend that you re-read ingredient labels every so often to make sure your products are still non-comedogenic. I hope that you’ve find this list helpful. If you haven’t downloaded your copy yet, make sure that you visit my website to do so. Also if I discover other pore clogging ingredients or make any changes to the list, I will be sure to email you an updated version. Have you discovered that your makeup or acne products are pore clogging after checking my List of Pore Clogging Ingredients to Avoid? 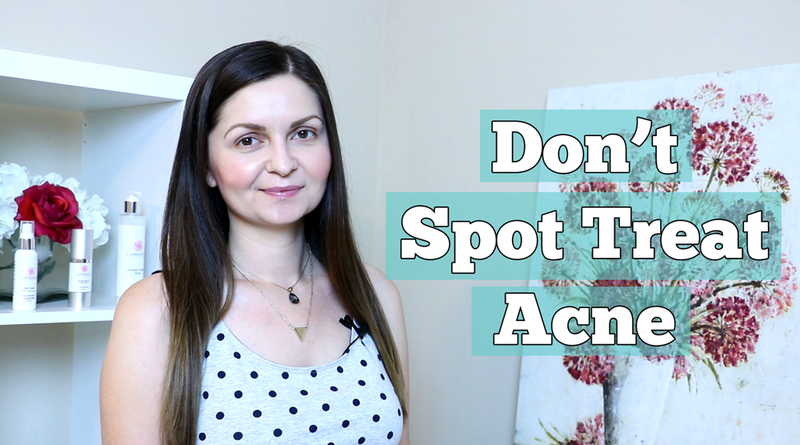 For my first blog post I think it’s important to go over the real cause of acne because there is so much misinformation out there and it’s no wonder that many people are confused by their acne condition. The thing you have to realize is that there is no set pattern with acne. It doesn’t always skip a generation nor does it always effect every generation. In some cases you may be the only person in your immediate family with acne, but try to look outside of your immediate family. Do you see acne in your cousins or aunts and uncles on one particular side? For example, in my family, neither one of my parents ever had acne, but both my brother and I did. When I looked outside of my immediate family, I noticed that a good amount of those on my mom’s side had acne, but no one on my dad’s side did. So for me, I can pinpoint that I inherited acne from my mom, even though she never had it herself. Now that you know acne is genetic, let’s talk about how this effects the functioning of the pores. Our pores are constantly shedding skin cells and replacing them with newer ones. The average person that is not acne-prone can shed 1 layer of dead skin cells per day. Someone who is acneic however, can shed up to 5 layers of dead skin cells per day! That is a huge difference! These cells also do not slough off easily so they start to build up or clog the inside of the pore. The technical term for this process is called Retention Hyperkeratosis. The second component to acne is sebum or oil. 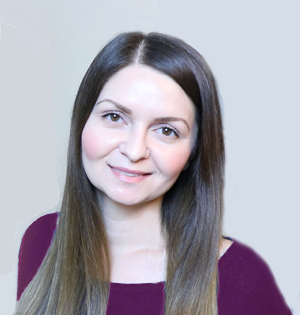 Most acne prone individuals tend to be more on the oily side of things, but I will say that sometimes we do see clients in our office that are acne prone but naturally more dry skinned, so you can still be dry and have acne. This is because whether you produce a lot of oil or a little bit, the quality of the oil in acne prone individuals will be slightly thicker than what it should be, so this thickened oil ends up mixing with the buildup of dead skin cells and just further clogs the pores. Finally, the 3rd component to acne is bacteria. There is a special type of acne causing bacteria that lives within the skin, known as Propionibacterium acnes, or p. acnes for short. It’s important to know though that everyone on earth has this bacteria, even those that don’t break out, however us acne prone people have a much higher population of this bacteria. And it’s specifically this bacteria that is responsible for inflamed acne lesions such as pustules and cysts. The reason why acneic skin has a higher population of this bacteria is because of retention hyperkeratosis or the excess buildup of the dead skin cells that I mentioned earlier. This bacteria is anaerobic meaning that it survives in an environment without oxygen, so because the pore gets clogged by the buildup of excess dead skin cells, oxygen cannot reach inside to kill off the bacteria. Furthermore, the bacteria feeds itself on the fatty acids of sebum and because most acne prone individuals produce a lot of oil, the bacteria has an endless supply of nutrients to keep it going. 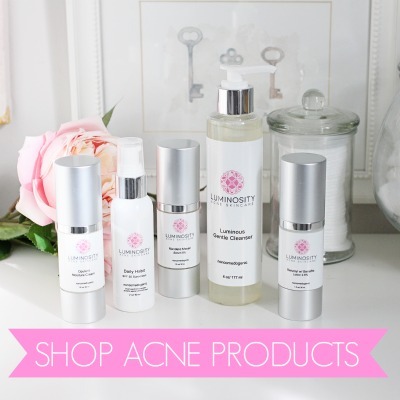 So to quickly recap, acne is a genetic condition that effects the functioning of the pores. The 3 components are excess build up of dead skin cells, oil and bacteria. 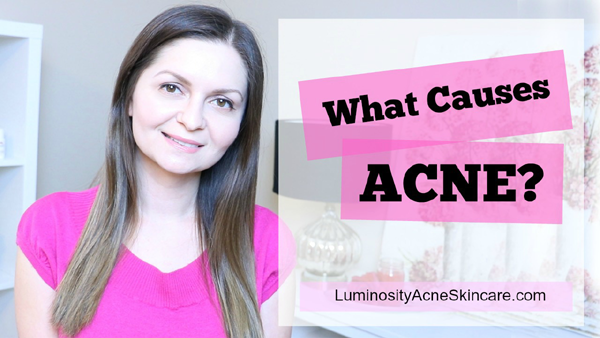 Watch Carmen’s Video Version Of This Post: What Causes Acne?